They are all good hunters but not perfect. I'm not one to advise if to upgrade or bin. Different players use different play, therefore different traits suit some more than others. I guess if I gave any advice to you it would be find which one of these suits your game play the best. Keep for your secondary Hunter and keep looking for one with 5 perfect traits. Keep in mind that you could be searching for a long time, I'm still looking for my perfect Hunter after over 12months. I'm sure you'll get some more advice soon from other players. Goodluck! So what is the 5 perfect hunter traits? Do i have some of the perfect trait? and the last question. 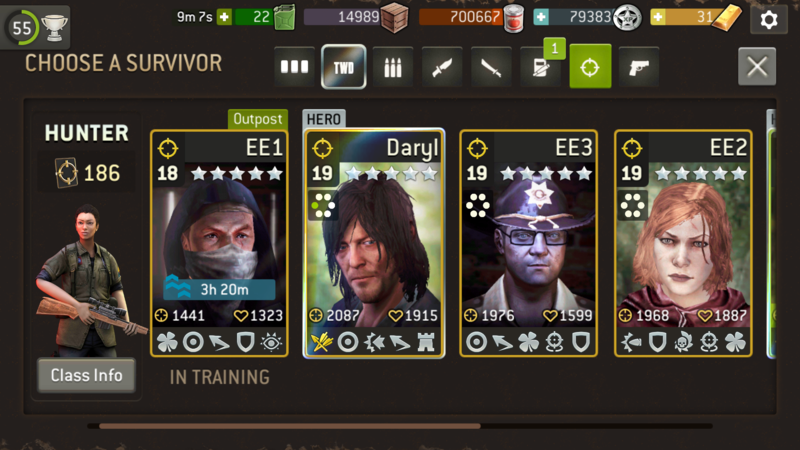 I need to focus in one hunter to get him a 6 stars Which one? If iron skin was marksman it would be the ultimate glass cannon. And the badges ? 3 Damege and 3 chance or critical Damege?? Ee3 is alright, but it is from a different era. When ruthless didn't exist. Ee3 is actually my best hunter, but I'd swap him for ee2 hands down.